In 1851, the Clancy family of County Clare are offered free passage to Australia, and the promise of land to farm. Kieran, his brother Liam, their sister Eileen, her husband Rory and their children will travel together. It’s an opportunity for a new start, away from the poverty and famine, away from landlords. In 1851 (in Liverpool, England), young Eve Richards loses first her father and then her position. Her struggle to survive sees her arrested, convicted and transported to New South Wales. A chance encounter with Kieran Clancy in Parramatta sees Eve assigned to a good position with a Captain and his wife. Kieran is restless, and gold-fever draws him from the farm to the Victorian goldfields. He’s destined to meet Eve again, and perhaps they’ll have a life together. But kind-hearted Kieran, trying to help a mate, finds himself caught up in the events of the Eureka Stockade. And Eve, thinking him lost, is shipwrecked while sailing to Adelaide. If you want to know how it all ends, then you’ll need to read it for yourself. It’s a lovely story in which both coincidence and luck have a part to play. If you enjoy historical fiction set in colonial Australia, then you may wish to add this novel to your reading list. While some aspects of the story worked for me better than others, I enjoyed Ms O’Connor’s depiction of events and places. And I always enjoy a (mostly) happy ending. 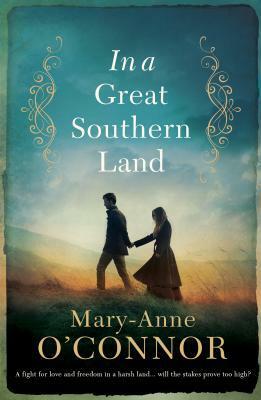 Sign into Goodreads to see if any of your friends have read In a Great Southern Land.